Now taking orders for large (48"-up) and custom-made wreaths! 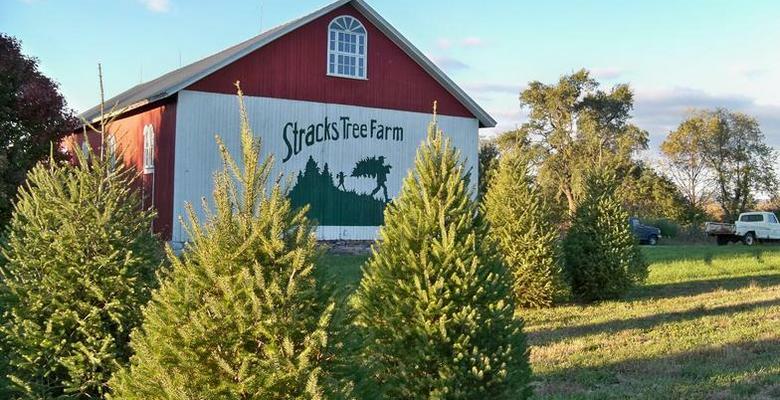 Stracks Tree Farm is nestled in the sprawling countryside of Lebanon County. We are a fully functional "choose and cut" Christmas Tree Farm complete with 7 Christmas Tree varieties from which to choose. If you are not a field tromping enthusiast, Stracks also has a great old barn, built in 1888, where trees freshly cut from our own fields are displayed and sold. Also in the barn, you will find fresh, handmade wreaths and swags, roping and garland, STAND STRAIT tree stands and a sundry of Christmas crafts. Bring the kids, bring the dog, bring your camera, and bring your Christmas Spirit! A visit to Stracks Tree Farm is a day you will want to repeat year after year.